Good afternoon everyone! I hope all has been well. Sorry for the extreme delay on posting. I had taken a few days off for the Thanksgiving holiday, sales, and my home Christmas decorating. Sadly though when I returned to the blog on Monday morning, I had been hacked and the site was redirecting to a phishing site. 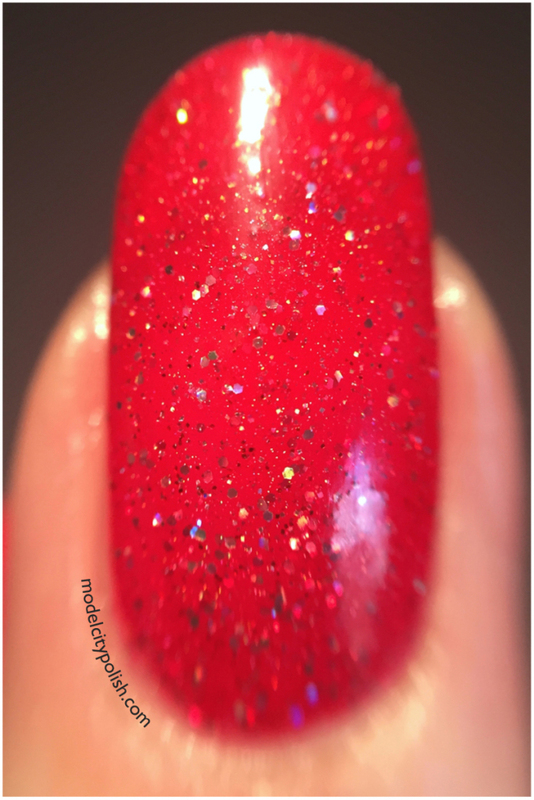 Everything is up and running again so now I can proceed with the new pretties to share. 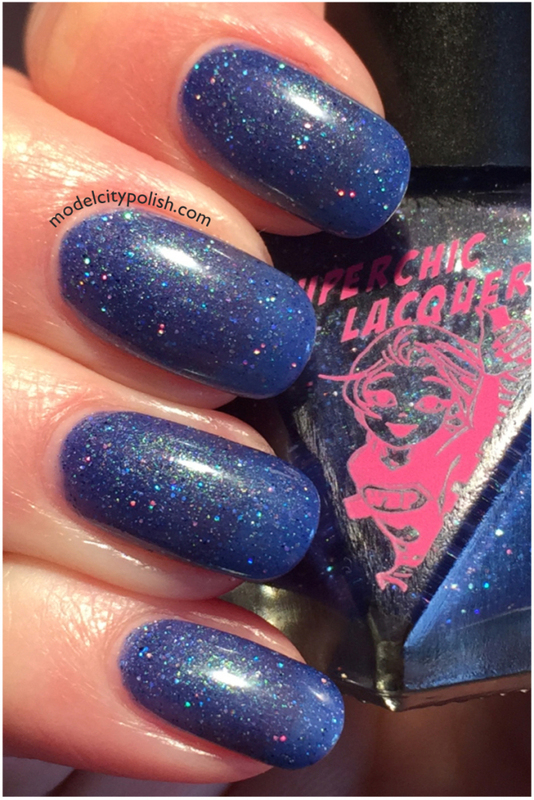 Today we are going to start looking at the new Frozen & Flurrious Collection from SuperChic Lacquer. This is a seven piece collection so I will be breaking this up in to two separate posts. 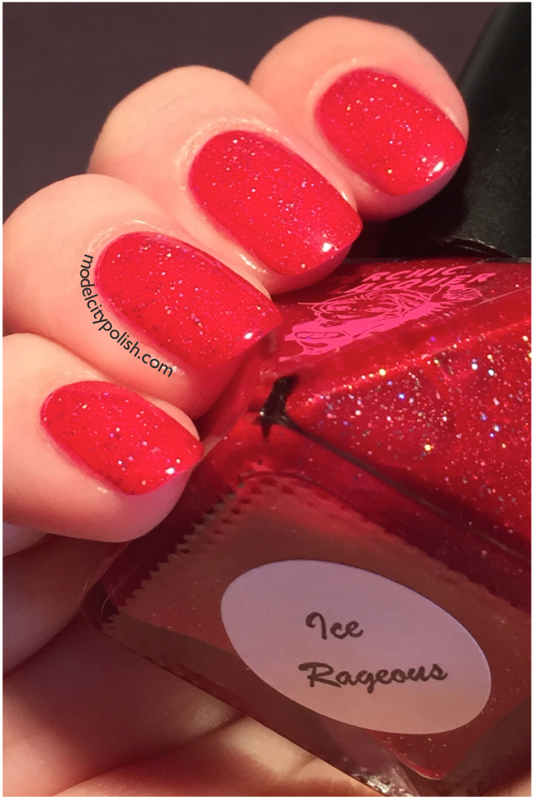 First up today we have Ice Rageous. 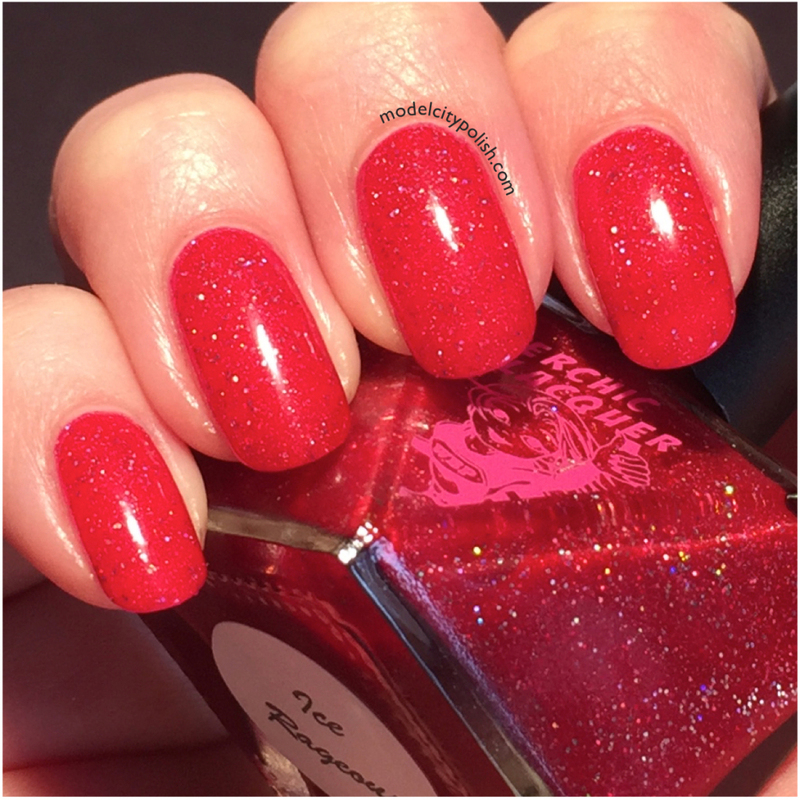 This is a lovely vibrant red jelly blend that is sure to have you thinking of good ole Saint Nick. 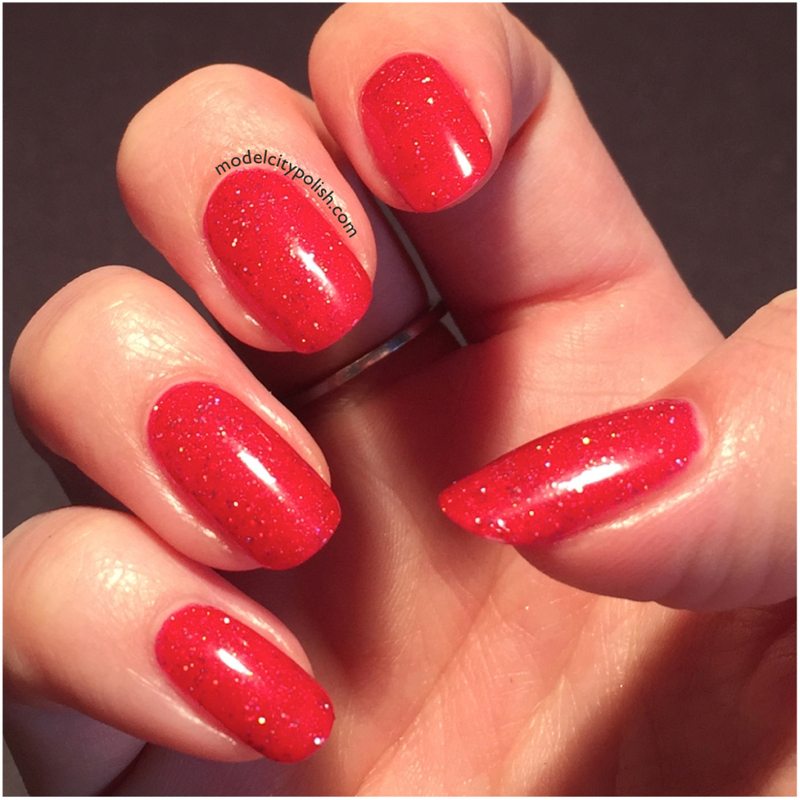 This jelly is filled with silver holographic glitters and a soft copper shimmer. Application and formula were both perfect. In my photos I am wearing three coats of Ice Rageous and one good coat of Gelous. 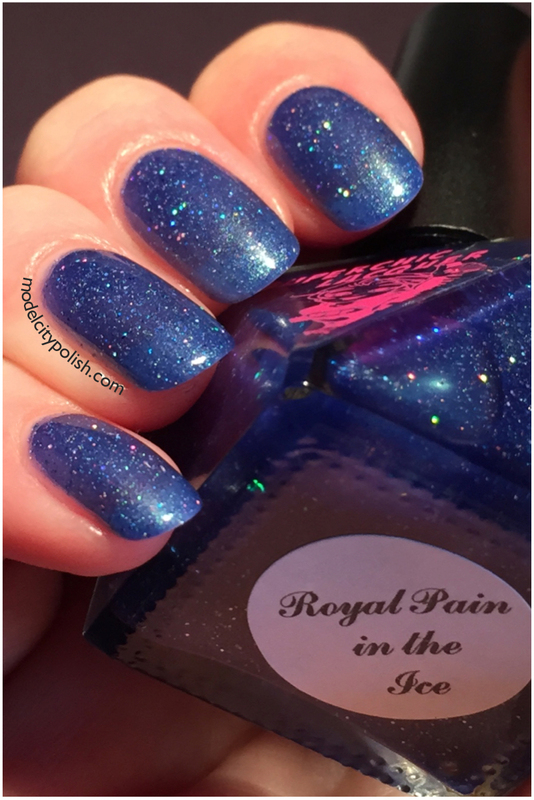 Next up we have Royal Pain in the Ice. 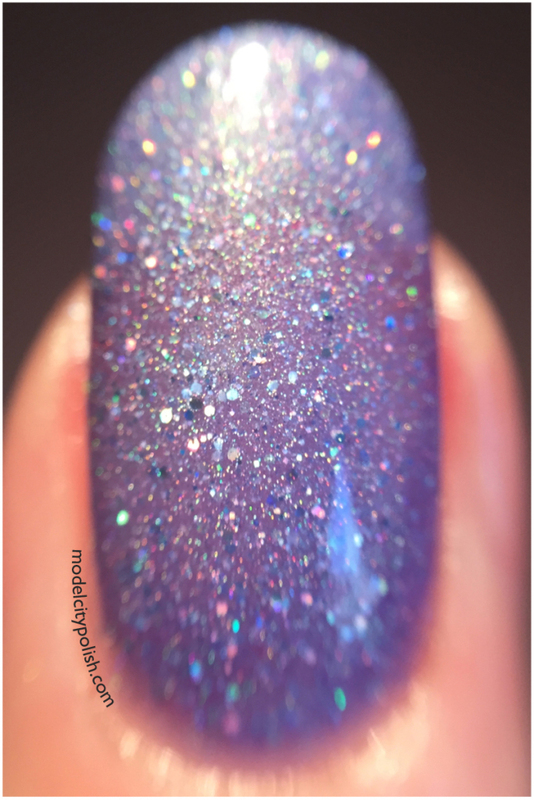 This is a lovely royal blurple jelly with a green shimmer shift and silver holographic glitters. 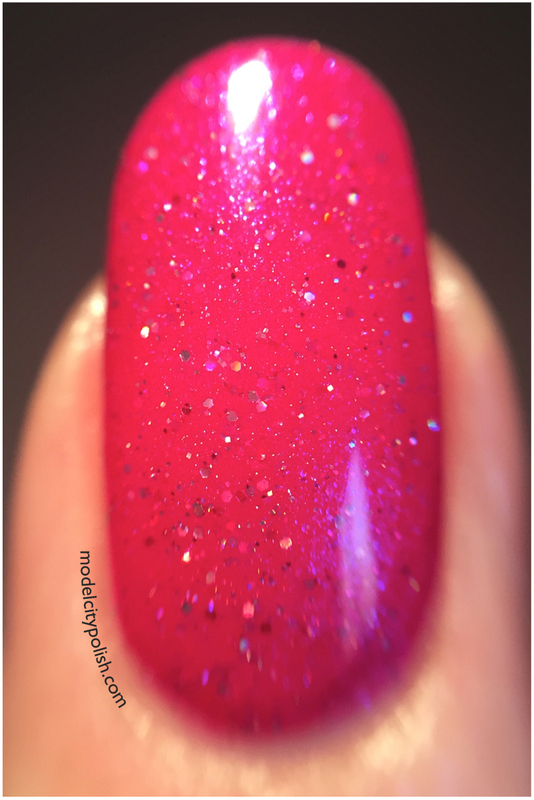 This blend is a little sheer but builds up to a nice opacity. 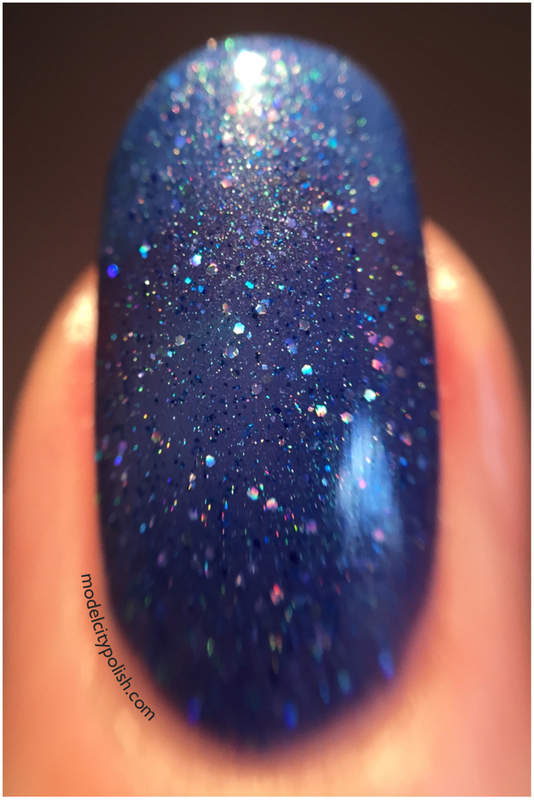 In my photos I am wearing three coats of Royal Pain in the Ice and one good coat of Gelous. Now for one of my favorites, Chillin’ With My Sister. 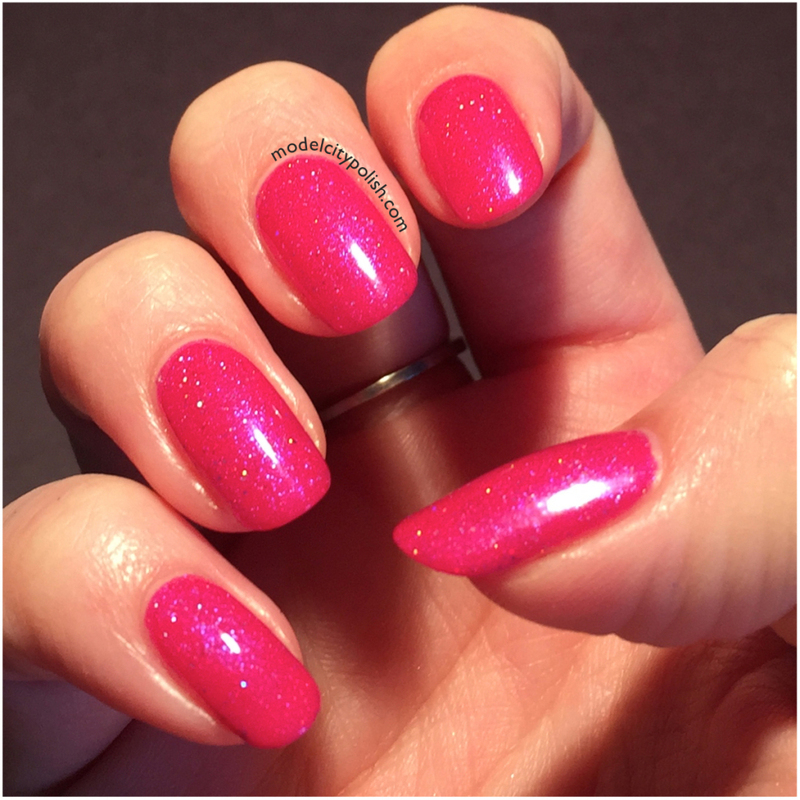 This is a super bright pink jelly with a blue shimmer shift and silver holographic glitters. Application and coverage were fantastic. 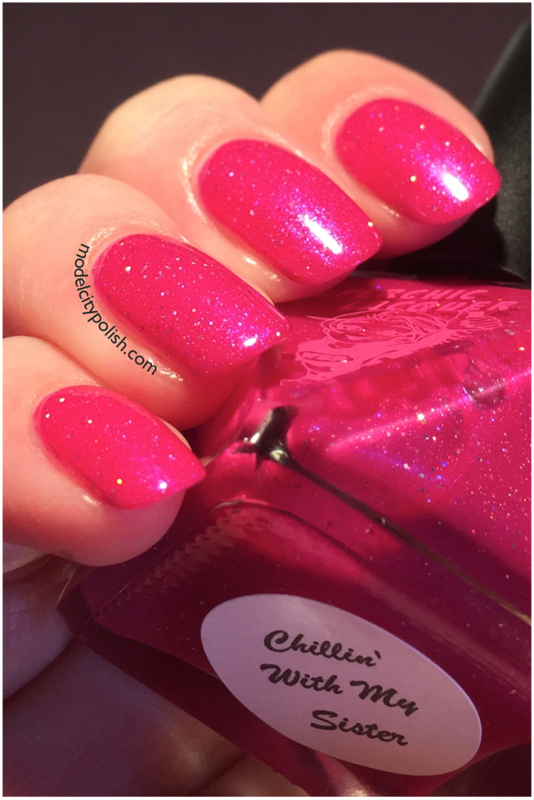 In my photos I am wearing Chillin’ With My Sister and one good coat of Gelous. 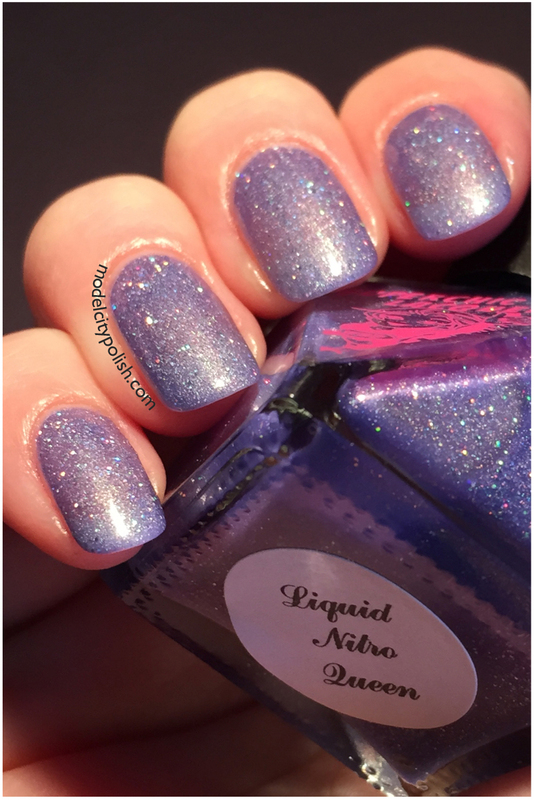 Lastly for today we have Liquid Nitro Queen, another favorite. 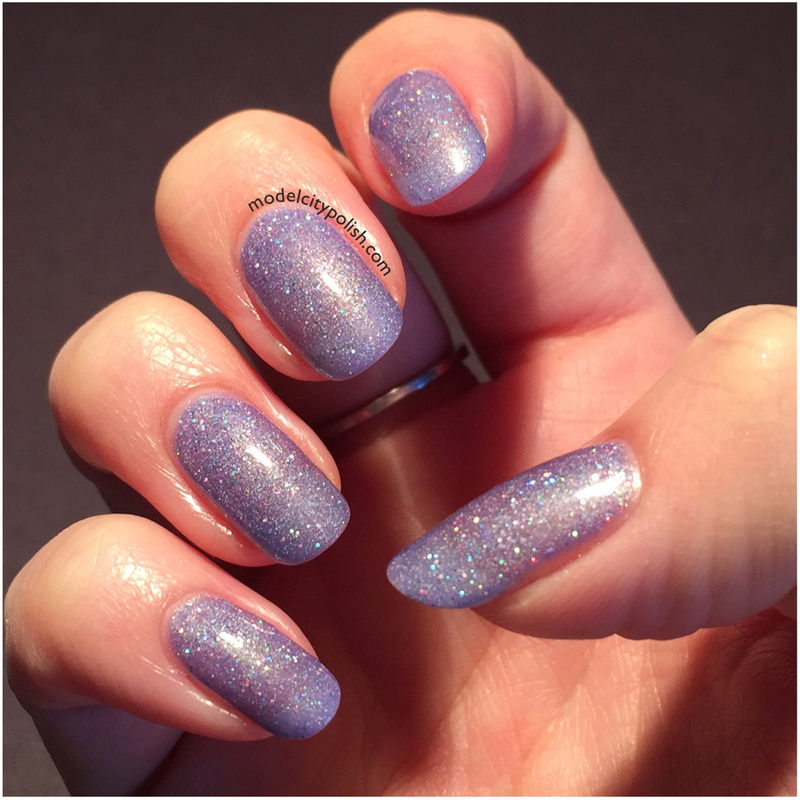 This is an icy lavender jelly base with a green shimmer shift and silver holographic glitters. Application was great and formula was just perfect. 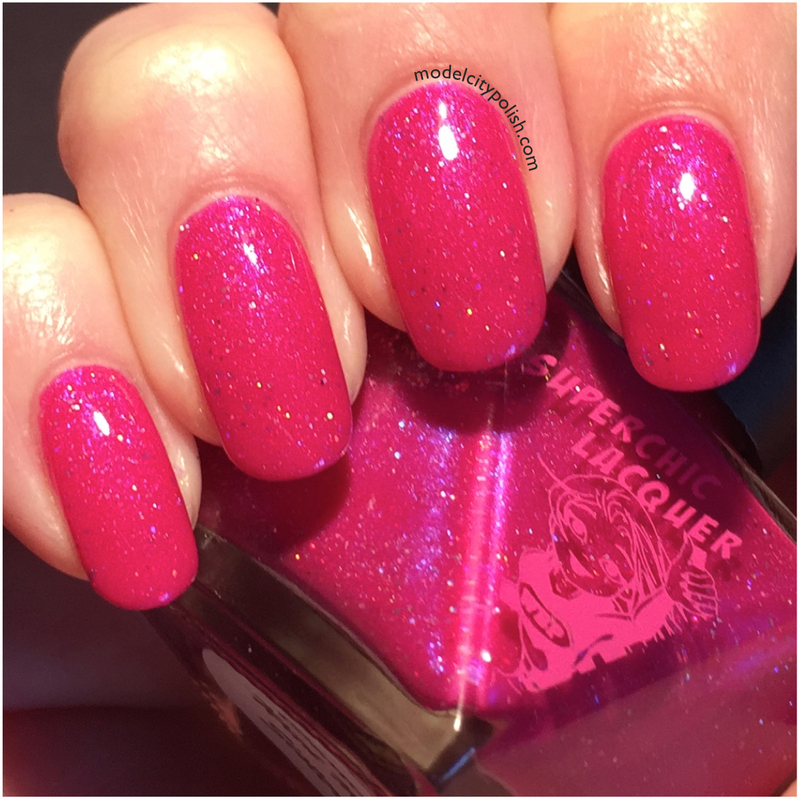 In my photos I am wearing three coats of Liquid Nitro Queen and one good coat of Gelous. 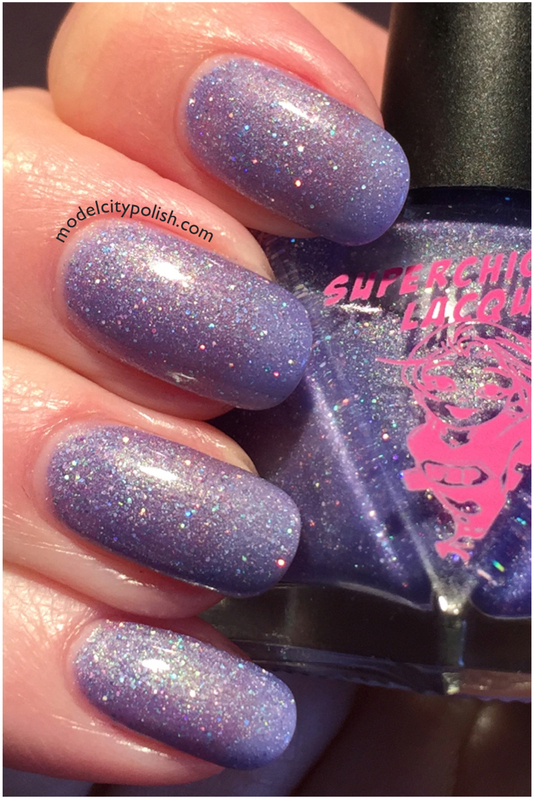 So what do you guys think of the new Frozen and Flurrious collection by SuperChic Lacquer? I am loving these! 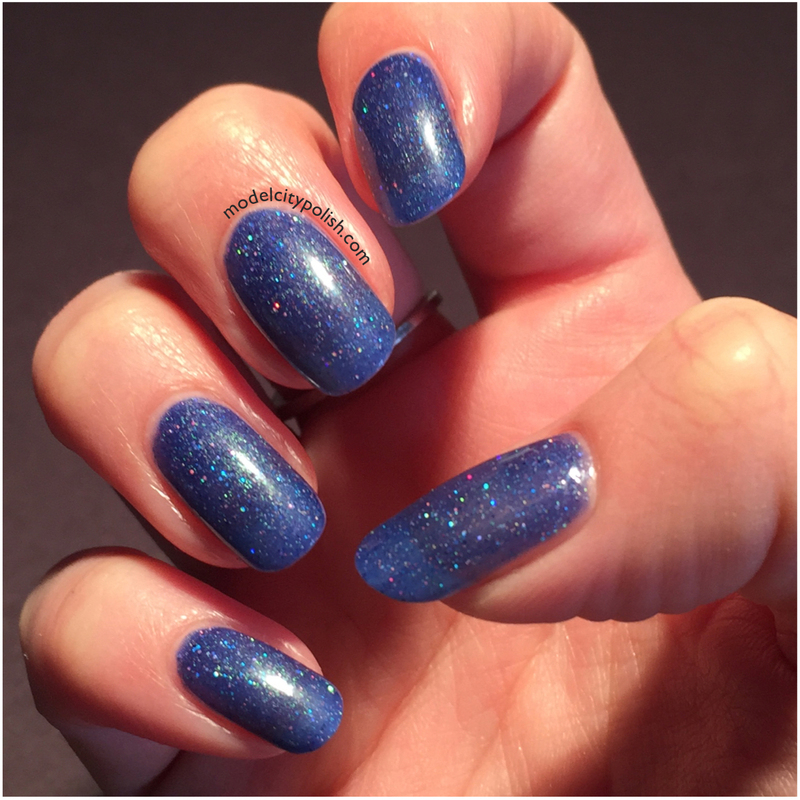 The colors are vibrant, the shimmer shift stunning, and the holographic glitter adds the perfect amount of sparkle. 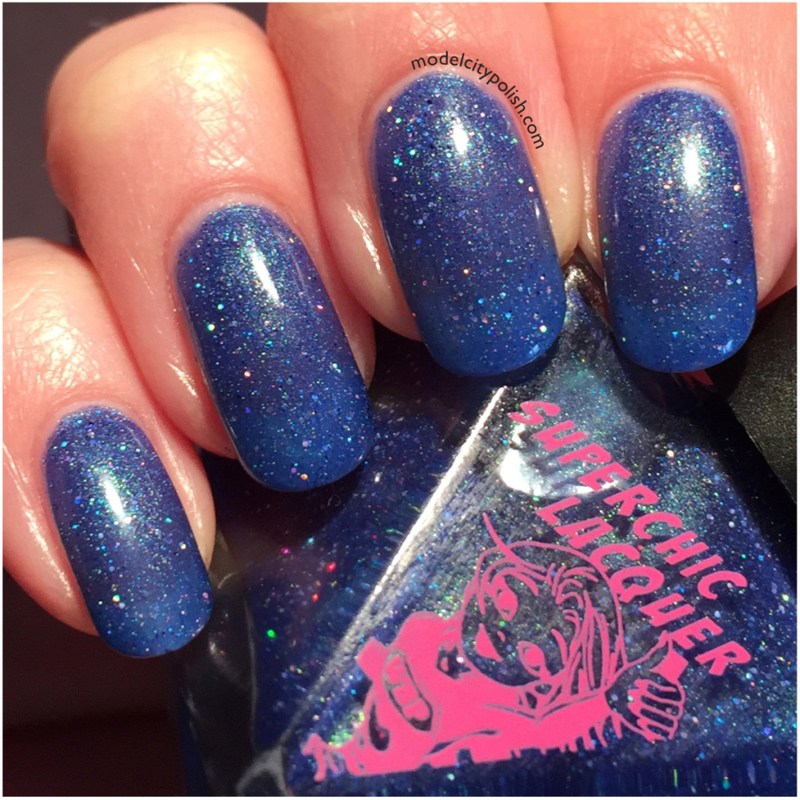 This new collection will be available from SuperChic Lacquer on December 8th but until then check out all the other lacquers they have to offer in their shop and give them a follow on Facebook, Instagram, YouTube, and Twitter. Thank you so much for stopping by today and I look forward to seeing you all again tomorrow with the second half.